Mumbai: The Mumbai Metropolitan Region Development Authority (MMRDA) invites global tenders for Design, Manufacture, Supply, Installation, Testing and Commissioning and Maintenance of Automatic Fare Collection (AFC) Systems for 52 Elevated Stations and AFC OCC, AFC Software Testing and Development Center (SDC) of Mumbai Metro Line 2A (Dahisar East – Dn Nagar), Line 2B (ESIC Nagar – Mandale) and Line 7 (Andheri East – Dahisar East) of Mumbai Metro Rail Project of MMRDA. Contract No. and Title: MMRDA/MMRP/CA-33: Design, Manufacture, Supply, Installation, Testing and Commissioning and Maintenance of Automatic Fare Collection (AFC) Systems for 52 Elevated Stations and AFC OCC, AFC Software Testing and Development Center (SDC) of Metro Line 2A (Dahisar East – Dn Nagar), Line 2B (ESIC Nagar – Mandale) and Line 7 (Andheri East – Dahisar East) of MMRDA. Pre-bid Meeting: 02.07.2018 at 15:00 hrs. Date & time of opening of Tender online: 31.07.2018 at 12:01 hrs. Line 2A will cover approx. 18.5 km long distance from Dahisar to DN Nagar and consist with 17 elevated metro stations. 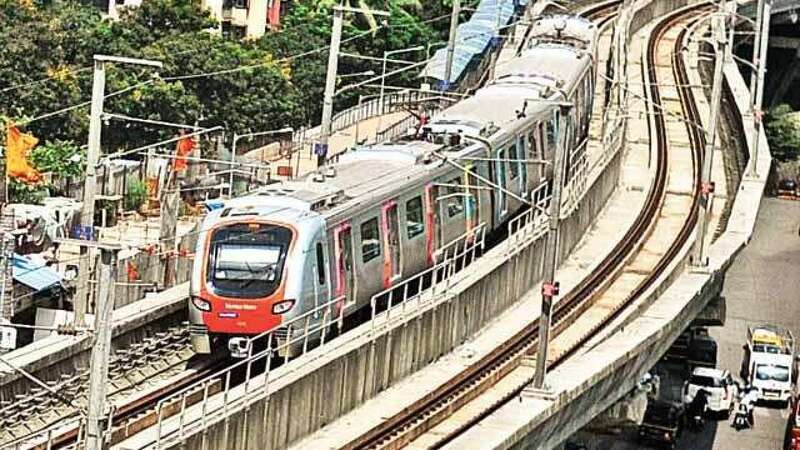 It shall provide inter-connectivity among the existing Western Express Highway, Western Railway, Metro Line 1 (Ghatkopar to Versova), the ongoing Metro Lines 2B (D N Nagar to Mandale) & 7 (Andheri (E) to Dahisar (E)) and the proposed Metro Line 6 (Swami Samarth Nagar to Vikhroli). Line 7 will cover approx. 16.5 km long distance from DN Nagar to Mandale and consist with 22 elevated metro stations. This corridor will provide inter-connectivity among the existing Western Express Highway, Western Railway, Mumbai Metro Line 1 (Ghatkopar to Versova), the ongoing Metro Line 2A (Dahisar to DN Nagar) and the proposed Metro Line 6 (Swami Samarth Nagar to Vikhroli). This corridor will also provide connectivity between Central Mumbai and Northern suburban Mumbai. It will also provide rail based access to the Mumbai International Airport (CSIA), SEEPZ, National Park and other commercial and geographical landmarks. A dedicated Depot is planned on this Line at Dahisar.